The goal of every athlete is to train efficiently, which also means working out in a safe way so the training and its circumstances doesn’t cause any harm to our body. During summer we have to pay more attention to the latter – the circumstances. First, we have to make sure our body gradually acclimates to the high temperature, and second, we have to take care of our body and keep it properly hydrated (at all times). Properly does not mean over- or dehydrated, it refers to drinking just the right amount of liquid to stay well hydrated throughout the training, and summer. Our needs are different and vary from a person to person. Some athletes get away with solely drinking water while others fuel their sporting adventures with Coca Cola. Before taking anything as “the truth, the whole truth, and nothing but the truth”, pay attention to your body and its needs, and figure out for yourself what works best for your performance, your stomach and your teste buds. Sweating, or perspiration, is body’s natural response to high temperatures. It’s the way human body reduces the temperature – thermoregulation, and cools down our system. Our body can quickly adjust to training in the hot environment, especially when there’s a summer breeze that keeps us fresh, but it does have a bit of problem when high temperatures pair up with high humidity. 1.1 How much liquid do we actually need? 1.2 But what drinks should I consume? 2 How to stay hydrated during summer heat and train in safe way? High humidity refers to high levels of water vapour in the air and prevents our body’s cooling mechanism to work as efficiently as we would like to. Perspiration works at a slower pace, causing our body to overheat and make us feel drained and sleepy. 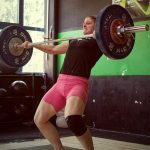 Remember the infamous Murph from the 2015 CrossFit Games? However that does not mean you are also being dehydrated. Signs of mild dehydration are thirst, dry mouth, headaches and muscle cramps, and dark-coloured pee (or not peeing at all). Symptoms of severe dehydration, besides the already mentioned signs above, are dizziness, rapid heartbeat, sleepiness, confusion and fainting. On the opposite site, there’s such thing as hyponatremia which refers to our sodium levels being too low (and which were literally quite possibly washed out of your body by drinking too much liquid). How much liquid do we actually need? There are general guidelines, but it all comes down to your personal needs, the sport you are engaging in, the length and intensity of it, and the time of the day. With not being active at all, a general rule of thumb to stay hydrated would be drinking 2 litres of liquid daily. Another guideline would be drinking half of your bodyweight [pounds] in ounces. If a person weights 200 lbs / 90 kg, they need to refuel themselves with 100 ounces / 2.9 litres of liquid daily. If you do sports, a general rule would be adding 500 ml to your one-hour exercise. Study done on cyclists: If training at a high intensity for an hour, drinking between 0.15 and 0.34 mL/kg body mass/min is considered as NOT enough. When cycling at a moderate intensity between 1 to 2 hours, athletes should drink 0.15-0.20 mL/kg body mass/min in order to improve their performance. More than 2 hours at moderate intensity, the fluid consumption with a goal of improving performance for at least 3% should be 0.14-0.27 mL/kg body mass/min (1). A very good advice would be to keep track of your wellbeing and your bodyweight. Weight yourself in the morning and after training, and replace the liquids based on that. But what drinks should I consume? While traditional studies prefer recommending isotonic drinks*, as they replace the sodium and other electrolytes we lose with sweating, modern approach goes towards drinking whatever makes you feel good. If water is your top choice, make sure you gain vitamins and minerals by eating a balanced diet. If you find water “not tasty at all”, try isotonic drinks, but try finding the ones that don’t irritate your stomach or cause digestive problems. *Isotonic sport drinks are the beverages which contain similar concentrations of salt and sugar as the human body. You can also consume natural fuel such as coconut water or homemade juices, or simply mix water with honey and lemon. 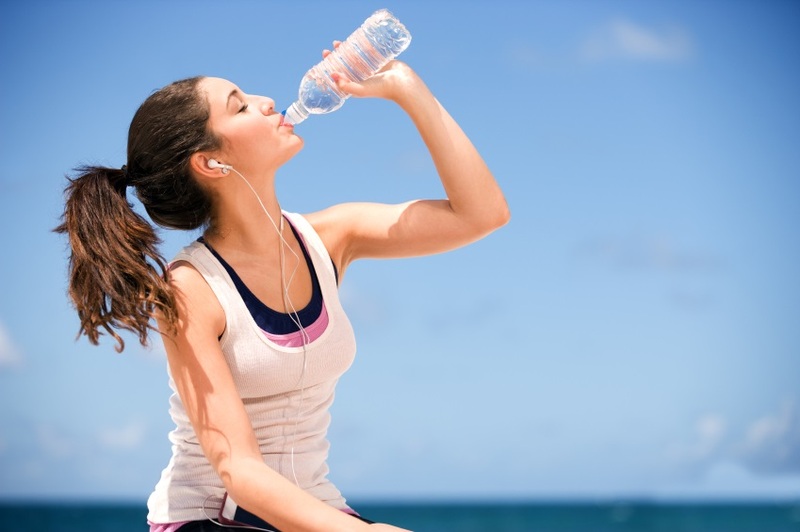 How to stay hydrated during summer heat and train in safe way? First and most importantly, never ever forget your bottle filled with a chosen drink. Worst case scenario is not drinking too little or too much, but not drinking at all. Test the guidelines mentioned above and track your bodyweight. Listen to your body and dial in your approach based on things you observe. If you want to train safe during summer, get to know the environment you are training in and acclimate. Take up to 10 days to slowly adjust the higher temperatures. Don’t just start with high intensity, build it up gradually. If you are not a competitive athlete, you don’t have to train between 11:00-16:00. Morning or evening hours will work much better. Wear lightweight and light coloured sport clothes. Add sunglasses and a mesh cap/hat. Staying properly hydrated is not just about drinking enough liquids. It’s about making smart choices in all areas of training, recovery and nutrition.